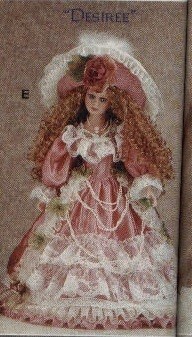 "Desiree," wears a pink sateen outfit with lace ruffles and faux pearls. A faux pearl and simulate cameo complete the ensemble. The Anastasia Collection.